I don’t like Valentine’s Day decor that is overly mushy or too busy. This simple solution to create decor from what I already have was fun and easy. To go from Halloween to Valentine’s Day, the first thing I did was tear off the ribbons and spray the over the chalkboard paint with a nice white primer. Once the primer is dry, spray a nice big area with black paint. Why? So you can have black letters on your globe, of course! I used my Cricut to cut the letters out of Contact Paper (You can also purchase adhesive letters to at the craft store.) Stick them to the globe where you’d like them to go. 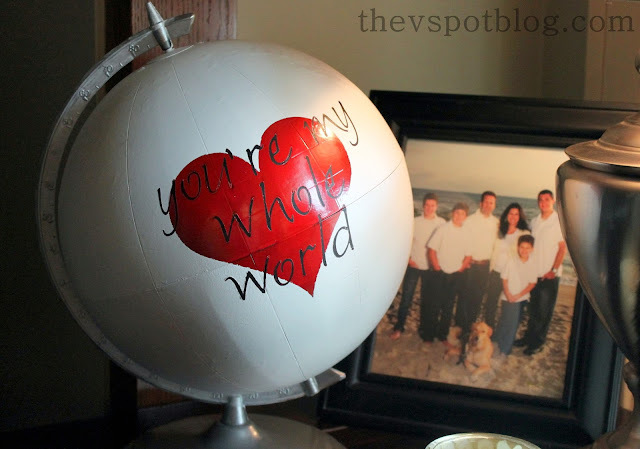 Once you have the letters adhered to the globe, spray over it with red paint and let it dry. Next, I cut out a contact paper heart and centered it over the letters. Unless you cut little slits in the heart, it will not lay flat. I am lazy… so I did not do this. Just smooth out the wrinkles and make sure the edges are sealed. It’s not perfect, but whatever. It’s close enough for government work. Spray over everything with white primer again. …then peel off the letters. I almost bought a globe on a recent antiquing trip, but there is no place for it in the worlds smallest apartment. Now I kick myself. Kick. Kick. Kick. What an awesome idea! I bought a globe at a yard sale a few years ago and have done nothing with it! I love this idea!!! SHaring it on my Facebook Fan Page! 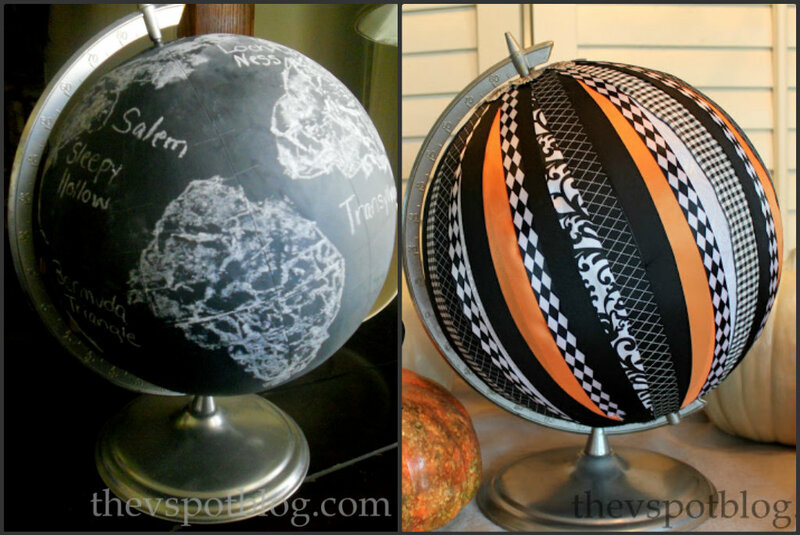 Love this idea…your globe turned out so cute! I like that you re-purpose from season to mood…brillant! Fabulous idea, Vivienne! 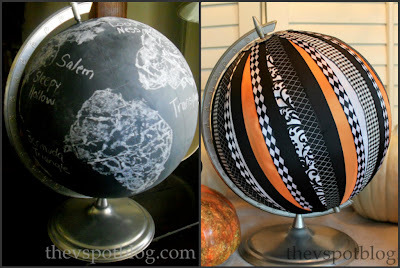 Now you are starting to develop a knack for globe crafts. Keep at it so I can make a 50+! Very cute! Nice as a valentine!! My head is “spinning” with how amazing this is! My globe collection loves this too! Would you consider selling one of these to me, I love the idea and thing this would be an great gift. Please let me know great job. Love How creative you are!! 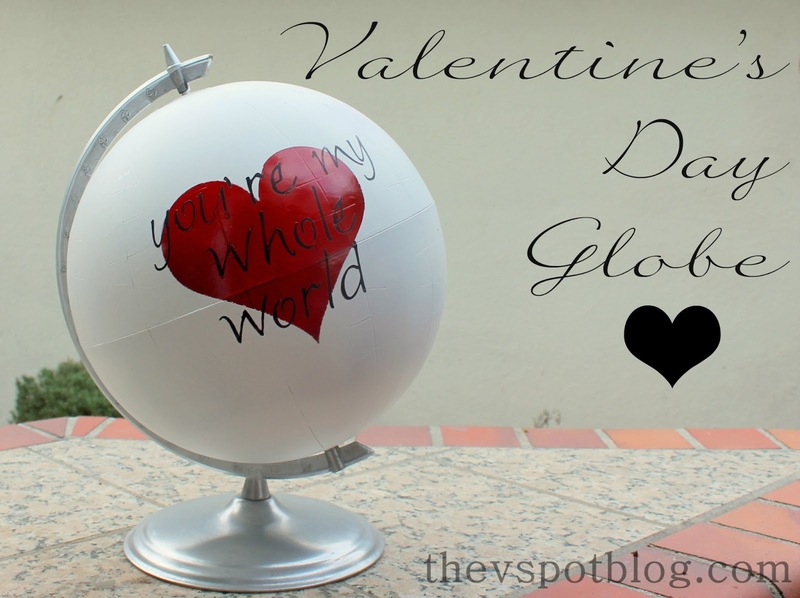 Someone that redoes a globe For each Holiday is anything but lazy! !